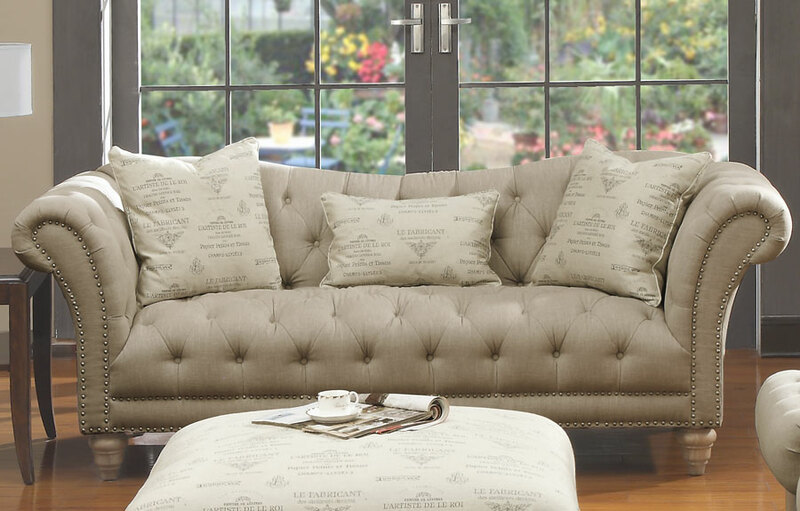 The stylish, tufted Hutton upholstery collection will add class to any room. The off-white linen-look fabric cover has generous button tufting and silver nailhead trim. 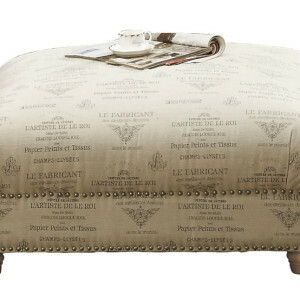 The tapered wooden bun legs and French-print accent pillows add to its uniqueness and style. 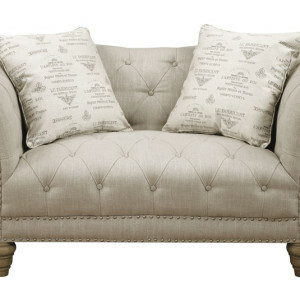 Matching accent chairs, chaise and large square cocktail ottoman (covered in the same French-print fabric as the accent pillows) allow for many different group arrangements with the Hutton Collection.